It takes a lot of effort to keep consumers happy. In an environment that is defined by competition, small perks go a long way in securing your business and making it profitable. Take the example of ridesharing businesses for instance. Even though the core service remains the same, the popularity of these ridesharing companies is determined by factors such as wait time, quality of service, and availability of promotional offers. While companies running the show know that it is a must to keep consumers happy, they have also realized that it is important to take care of their business partners and the subsequent human capital that backs the whole show. We will be reviewing a similar company that believes in treating its drivers better to bring additional business their way. Launched secretly in Tel Aviv, Israel, Juno is a ridesharing company that conducts its operations from New York City. Juno is backed by Talmon Marco, who founded the messaging app Viber and sold it in 2014 for $900 million. In June 2016, Juno was launched in beta version in New York City and was successful in completing 1 million trips by August 2016, attracting a lot of media attention for itself! Juno is the self-proclaimed ‘driver friendly alternative’ to its rival Uber and holds no qualms about its competition. They have also recently opened pre-registration for drivers, hinting that the company is planning something big in the near future. Some reports initially suggested Juno had planned to operate incognito for several months to avoid the press. 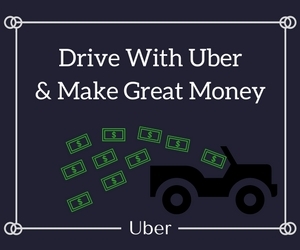 It is believed that it paid rideshare drivers who worked for its competitors like Uber and Lyft a handsome payment of $25 per week just to carry their devices around when they were driving. This strategy gave Juno a big advantage with access to a huge database for planning its operations. Juno currently operates using the help of third party members such as drivers who may also work for other ridesharing companies. Juno believes in taking a socially responsible route to driving. They believe that if drivers are treated better, they feel good and extend the same warmth and happiness to consumers. A happy consumer leads to better business, and Juno can laugh all the way to the bank! The Juno app is a feature used by the company to enable consumers to book a ride and for drivers to register themselves for providing services to the company. Let us take a look at a variety of features offered for the benefit of consumers as well as drivers. If you are someone who books cabs often, then you should definitely try Juno. To download and use the Juno app, you need a phone that operates either on the Android system or the iOS system. The app helps you to find and hire drivers either for passenger transport or for delivering goods. At the time of registration, you are expected to furnish details like your name, a valid email id, and a telephone number so Juno can drop SMS messages to notify you about details like promotions and ride schedules. Once you’ve agreed to the company’s terms and conditions, you can download the app and create an account to start using Juno’s services. You may have to comply with some additional company policies in case you are planning to use their services for commercial use. You can also deactivate your account by dropping an email to their customer service team or by mail to their registered office in New York. You will be expected to clear dues if any, even after deactivation of your account. Once your account is active, you may book a ride by entering the pick-up and drop-off points in the designated columns. The app will calculate the journey fare by factoring in the distance between the locations, navigation time, and traffic conditions prevalent at the time you book your ride. You may confirm your scheduled ride after considering the total payable amount and the duration of the ride. Once confirmed, you will be notified of the driver details and their performance ratings. These performance ratings are given by consumers who have availed the services of that particular driver in the past. While there are no charges for using the app, additional charges may be levied for a few auxiliary services. The total payable amount is displayed to you before you confirm your ride. That amount depends on factors like the total time and distance to be covered, high demand surcharges, and the general traffic conditions. You are also expected to pay additional charges for factors such as tolls, surcharges, wait time, additional stops, and changes to the final destination. Payment can be made through the app at the time of booking. You are also provided with an option to tip your driver after you have completed a ride. An email receipt for your ride will be sent to you once you have availed the services of Juno. A late payment penalty amounting to 10% of your outstanding balance will be levied if you do not pay up to 90 days after availing Juno’s services. If the payment is still not received by Juno, you will lose the benefits of ongoing promotions and discount offers. You may also be liable to pay a portion of Juno’s legal fees if it seeks legal measures to receive the outstanding payment. Users are also required to adhere to Juno’s cancellation policy. While some rides may be canceled without any additional cost, other cancellations of scheduled rides may impose a penalty on the consumer. The penalty may be a small percentage of the expected ride cost or the full amount of the cost. While children and infants are welcome to use Juno’s services, they are not allowed to travel without adult supervision. You are required to carry a car seat for infants and toddlers. Juno also lets you participate in their beta test services, where you can access the non-released app and provide your feedback and suggestions from a customer’s point of view. If you need any special arrangements with regard to your ride, simply mention them in the ‘Requests’ tab available on the app. Users are also given the benefit of promotional offers, contests, rewards and sweepstakes from time to time. Juno’s mantra to gain a competitive advantage is to treat its drivers humanely. It has adopted a driver-centric model for its business, one that tempts drivers to become a part of the company instead of simply working to earn money. Juno charges around 60-65% lower compensation charge to its drivers than its competitors do. Drivers are also paid 100% of the tips from consumers for their excellent service. While Uber was in the news for slashing prices and wages in 2016, Juno grabbed the advantage by offering its drivers a better pay scale and working conditions while charging only a 10% commission. The company also claimed to reserve 50% of its founding shares for drivers, but the plan was scrapped in 2017 when Juno was acquired by Gett Group of Companies. Whether it is better pay or addressing drivers’ queries, Juno drivers are provided with a lot of benefits. Their customer support team is available 24 hours a day throughout the week to help resolve drivers’ queries with regards to company policies, payment, perks, and other aspects of the driving business. Juno seems to be a company that cares for its human capital. App usage is free of cost. Riders can state specific requests for their rides. Payment is handled directly through the app, reducing payment related hassles. Riders can travel on credit up to 90 days. Juno offers a lot of special features for the convenience of riders. Drivers are only charged a 10% commission for their services. Juno uses a driver-centric model to care for its drivers. Promotional offers may be withdrawn without prior intimation. Services are currently limited to New York City. A lesser number of rides due to limited service availability. Drivers care the most about their pay and working conditions. A driver-centric model fitting well with the expectations of drivers will attract more of them. These drivers will have a positive outlook towards their work and employer, resulting in a better service quality. In the end, it’s a win-win situation for Juno – happy drivers and happy customers!